At Black Fox Knife Works we pride ourselves on providing the best customer service. To helpout future customers and returning customer we are offering several payment options for our 2x72 belt grinder product line. 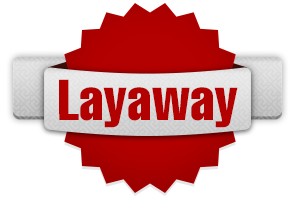 When a grinder is reserved thru layaway we place a shipping hold on the grinder until the grinder has been completely paid off. Once the payment is complete the grinder will ship same day or in rare cases next day. Purchasing equipment can be a major decision. With the productivity increases that this equipment can bring to an individual or company or the potential to significantly grow sales, many times it makes sense to borrow the money rather than saving before making the purchase. There are many options that should be considered. PayPal offers a great payment plan. Check it out and contact us if you want to go this route.